Today, you are a member of... Who is Zoltán Latinovits? - You Are A Member! 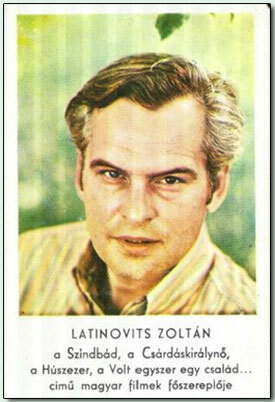 Today, you are a member of… Who is Zoltán Latinovits? This week will have such questions, no matter if you speak Hungarian or not. And if, Members, you answered, way too much Marlon Brando, not a little Jack Nicholson and a dash of Dan Ackroyd, you’d be wrong. You’d still be wrong if you said Budapestesque James Dean. No, the answer lies in 141 minutes from the Unfinished Sentence. So this week, if nothing else, keep talking and let trains pass, unimpeded.